Rousey, who also made history by becoming the UFC’s first female champion, defended her title six times from 2012-2015 during her reign as Bantamweight champion. Prior to Rousey’s arrival in 2011, UFC President Dana White had said that women would never compete in his company’s events. That all changed two years later when Rousey made her first appearance at UFC 157. 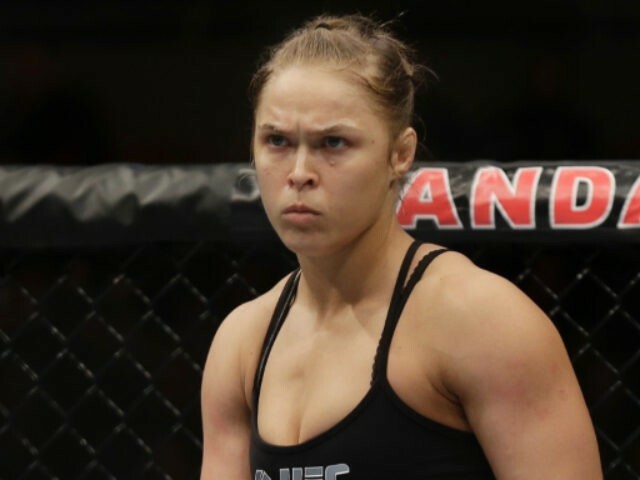 Rousey quickly became one of the sport’s biggest stars. She headlined her last four pay-per-view fights, with the final two drawing 1.1 million pay-per-view buys, and the one before that producing 900,000 buys. The only other UFC fighters to attract those numbers since 2014 are Conor McGregor and Brock Lesnar. Rousey was one of the biggest stars in the world and viewed as unbeatable, until her shocking second-round knockout loss to Holly Holmin front of 56,214 fans in Melbourne, Australia, on Nov. 15, 2015. She returned one year later but was knocked out again, this time just 48 seconds into the first round against Amanda Nunes at UFC 207 in Las Vegas on Dec. 30, 2016. Rousey has not competed in MMA since that loss. She signed with the WWE in January. Rousey stressed her appreciation for the fans in her acceptance remarks.